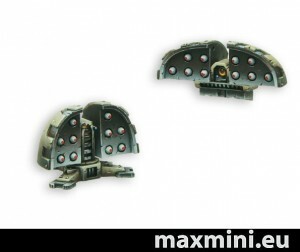 MaxMini previewed the 3D concept for these a little bit back, but now they're available for sale over on their website, their Thunderstorm Missile Launchers. Sculpted by Przemas. Painted by Artur.